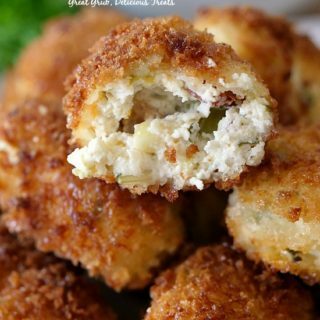 Chicken can be made into so many delicious meals and this is one recipe you have got to try. 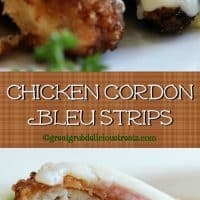 We love anything cordon bleu, and these chicken cordon bleu strips are sure to satisfy any cordon bleu cravings. 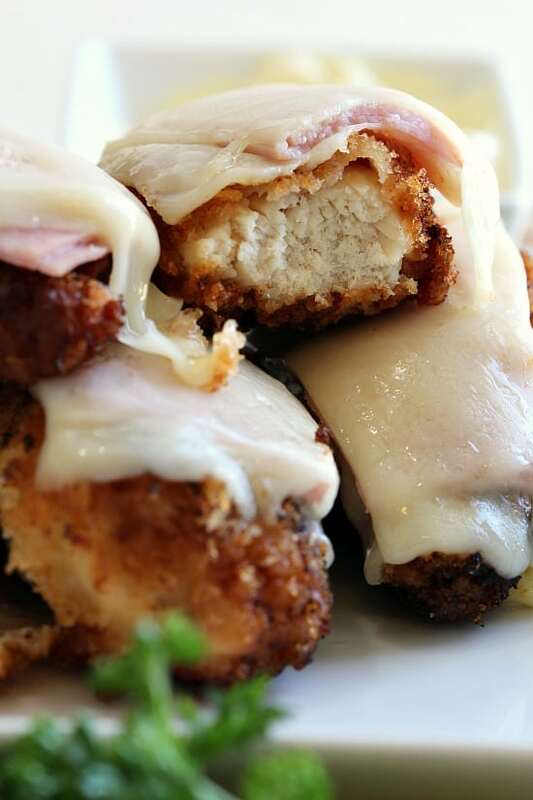 There’s just something about Swiss cheese and ham together, and then topped on chicken, yum, yum, yum. 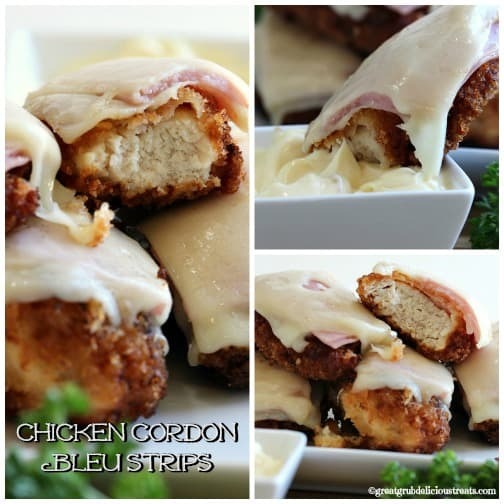 These chicken cordon bleu strips are crispy, crunchy and ohhhhh so delicious. 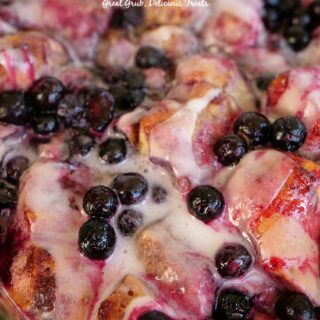 This is a simple meal, that the whole family will love, that won’t take forever to make. 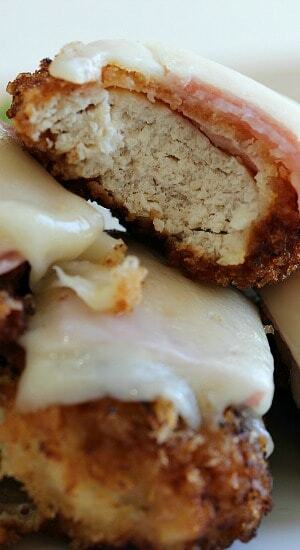 Just cut the chicken into strips, dip into milk, then flour mixture, back into milk and finally in the breadcrumbs. Next, place a few strips at a time in a frying pan. Heat over medium/high heat until chicken strips are cooked thoroughly, approximately 4-5 minutes per side. As the chicken strips finish cooking, placed each strip onto a plate lined with paper towels. Once all the chicken strips are cooked, place each piece of chicken in another frying pan. Place a slice of Swiss cheese, then two slices of ham, and topped with another slice of cheese. Make sure to cut the ham and cheese to desired size for the strips. Turn the heat to low, cover until cheese has melted. Serve with mayonnaise mixed with a little mustard. So good! 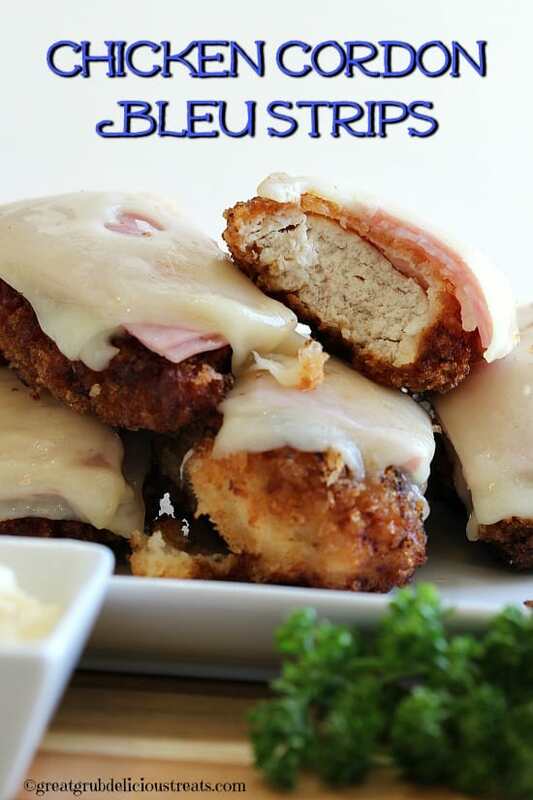 If you haven’t already tried my chicken cordon bleu bites, you need to. 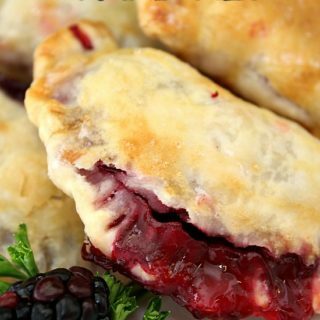 Those are absolutely delish too! In a large frying pan, heat oil to 400°. Cut chicken into strips, set aside. 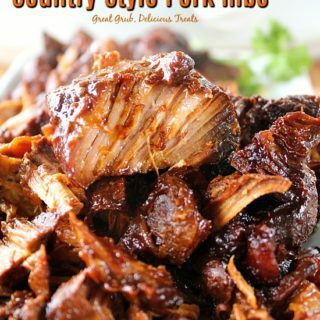 Use a bowl, or a gallon size baggie, and add flour, garlic salt, onion powder, Cajun seasoning, and paprika. Seal and shake to coat. Pour milk into a shallow bowl. Add breadcrumbs to another shallow bowl. Place a few pieces of chicken in milk. Next, add chicken strips to flour mixture. Turn or shake to coat. 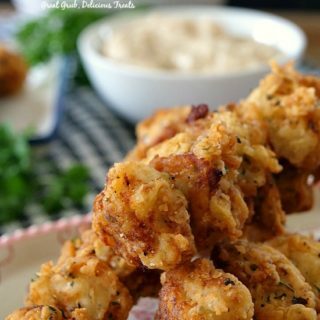 Remove each piece of chicken from flour and place into the milk for the second time. Then place strips into the breadcrumbs. 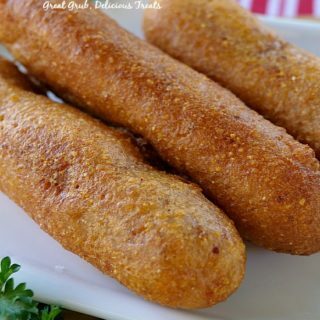 Place each strip into hot oil and fry until done, approximately 4-5 minutes per side. Place on a paper towel lined plate. 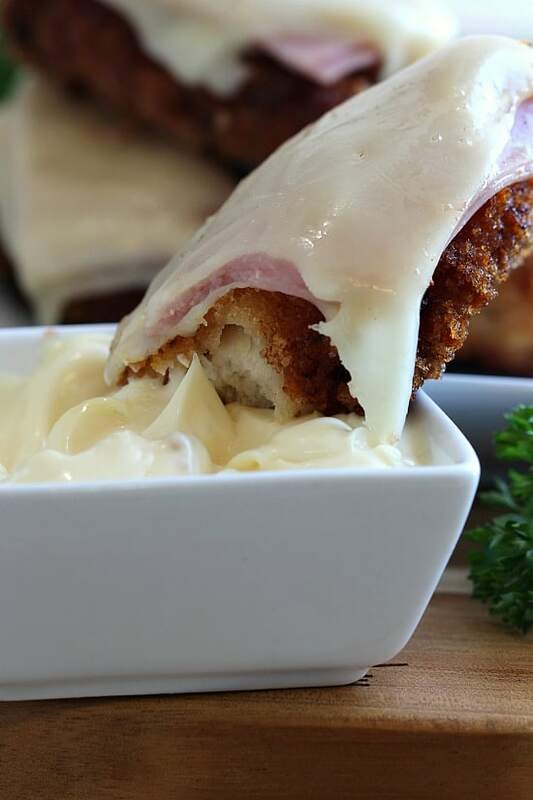 Once all the chicken strips are cooked, place a slice of Swiss cheese, then 2 pieces of ham, then top with another slice of Swiss cheese on top of each chicken strip. 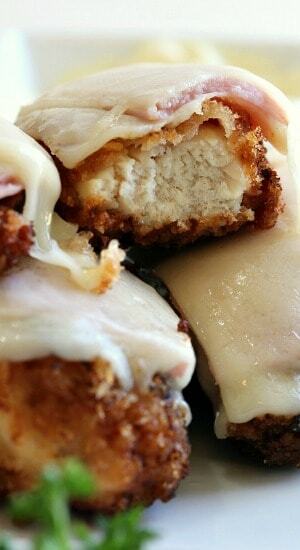 Place chicken strips into another pan, cover and heat over low heat to melt the cheese. Mix mayonnaise and mustard together. Ahh,YUMMY!I did not even look at the instruction details until AFTER pinning and printing this one!Thanks mucho?